The Butter Factory is an imaginative, bold and ground-breaking party blend of urban grooves, cutting edge electronic music, fashion, design and art. 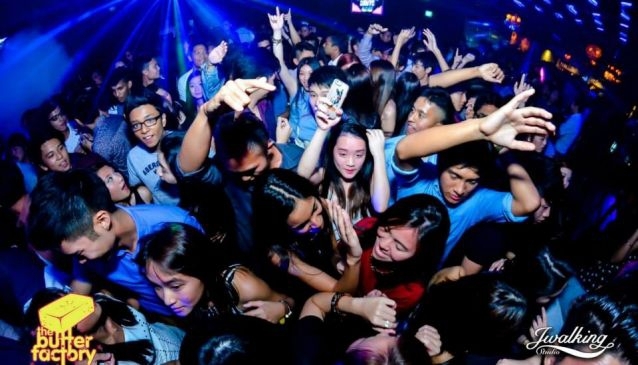 Located at One Fullerton near the Merlion Park, The Butter Factory offers popular and alternative culture, along with a variety of party music to boogie down to, spread across two loud rooms. The Butter Factory has an absolutely crucial mission that their visitors must have FUN! No hang-ups! No attitudes! No tight whities! Just feel at home and dance your legs down to little stumps! Get boozed, let loose and shake what your mama gave you. Opened on Wednesdays, Fridays, Saturdays & Eve of Public Holiday.